1877 Keeps his place in the field, fair kick and mark. 1880 Improved very much after his inclusion in the first twenty ranks, although not possessing the dash of his brother, is a player of considerable skill and determination. 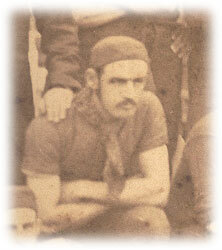 1880 Won the goal kicking competition in a kick off with John A. Turnbull (second) and Jack Spear (third) held at Princes Park, Saturday 9th. September. C. Donovan was a member of the Carlton tour side to Adelaide in 1881. 1884 Charles Donovan was presented with an illuminated address for services to the club at the Carlton general meeting held Friday 4th. April. Charlie Donovan played for the Blues in an ex players match against former Pivotonians at Geelong to raise funds for the local hospital. 1903 Charles Michael Donovan passed away suddenly in East Melbourne. His funeral left his brother J. A. Donovan's residence 18 Dalgety Street St. Kilda on 26 January at 2.30pm. for the Melbourne General Cemetery. Page last modified on Monday 04 of September, 2017 08:06:37 AEST by blueycarlton. 2001 Rd 3 - 200 gamer Mansfield chaired off by Fevola & Nelson. 1978 - Ian Stewart resigns (29/04/78).